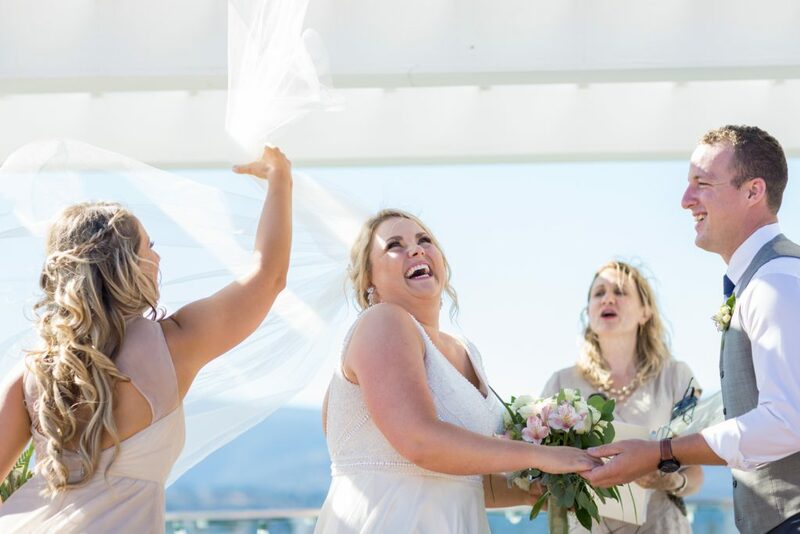 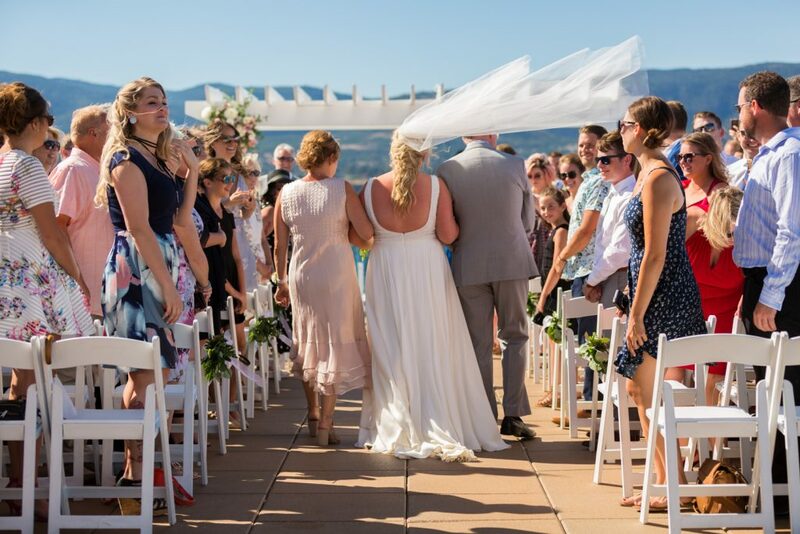 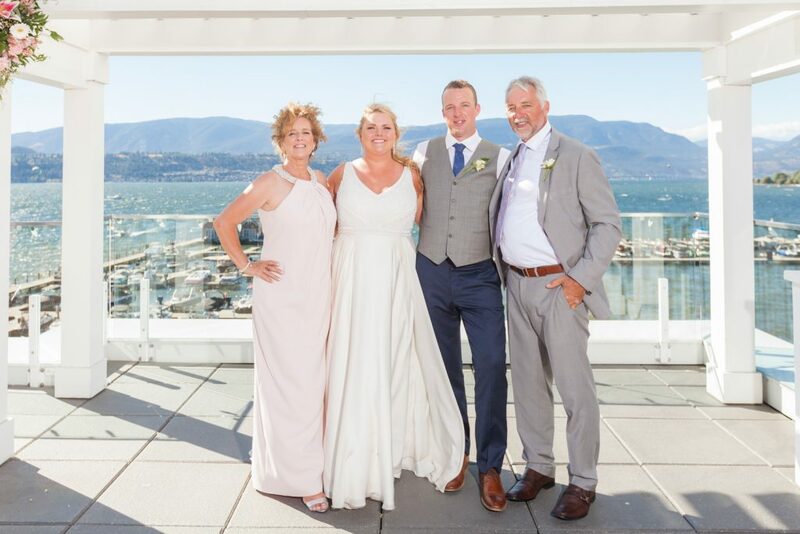 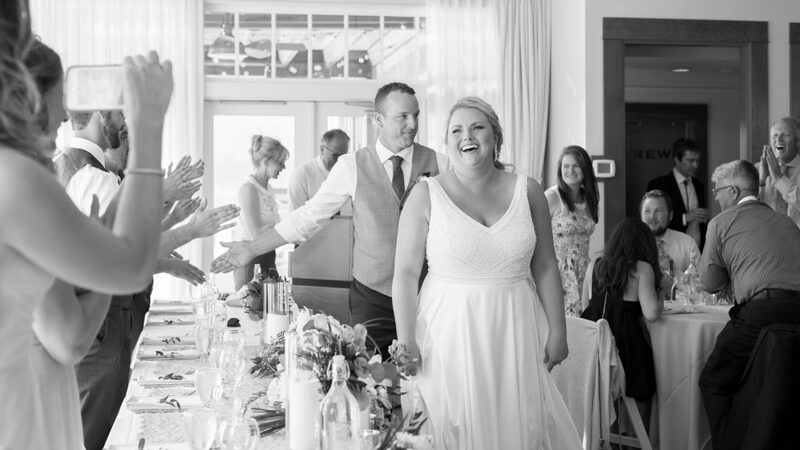 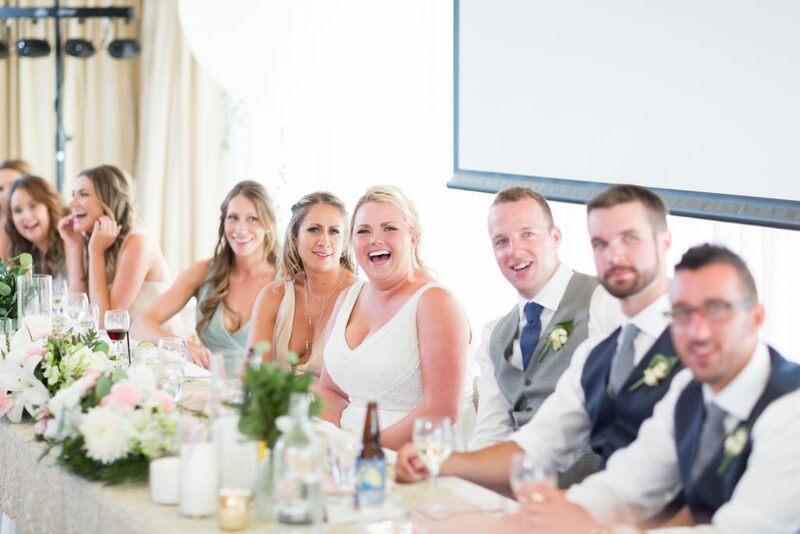 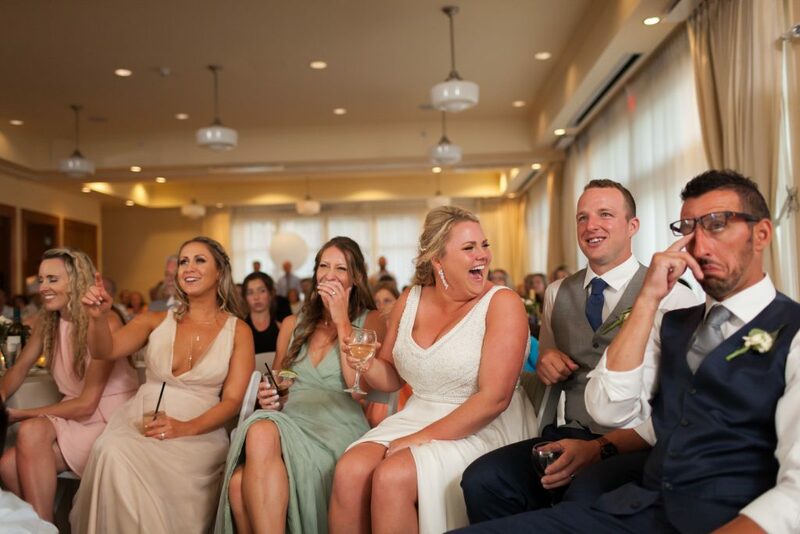 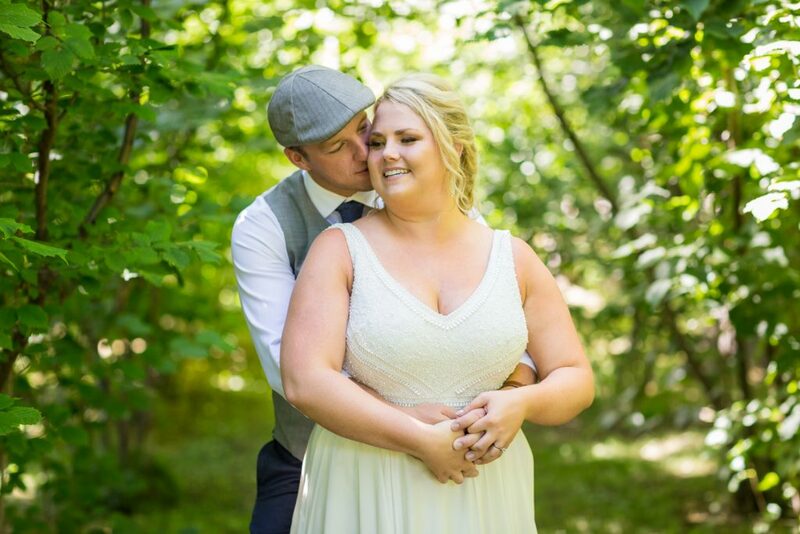 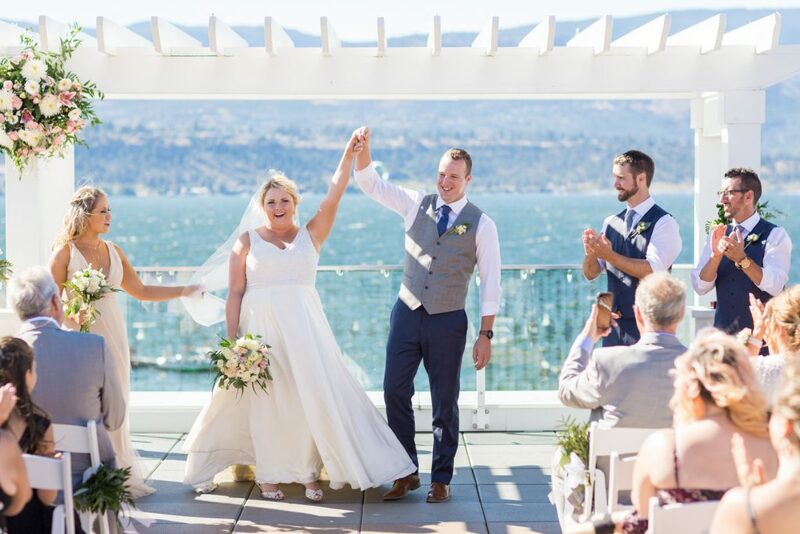 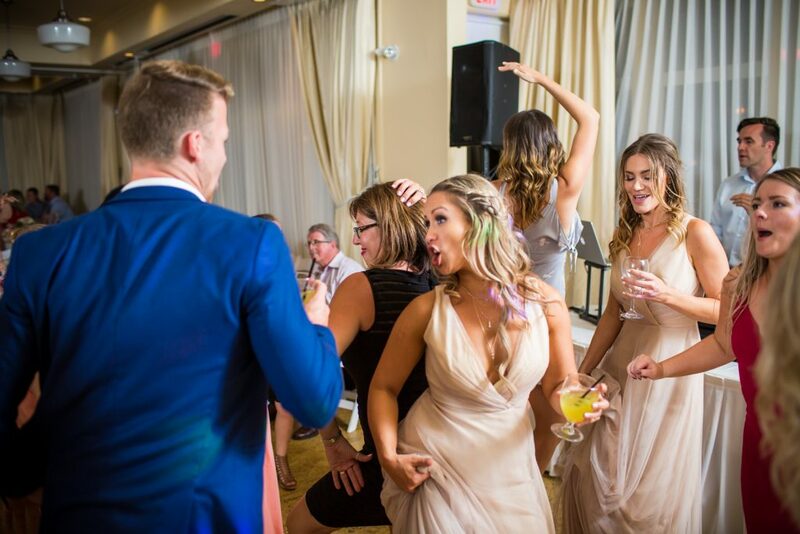 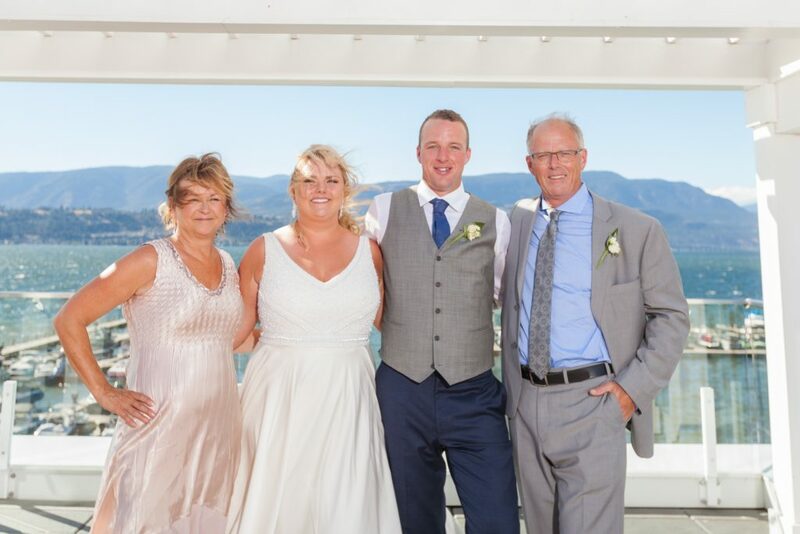 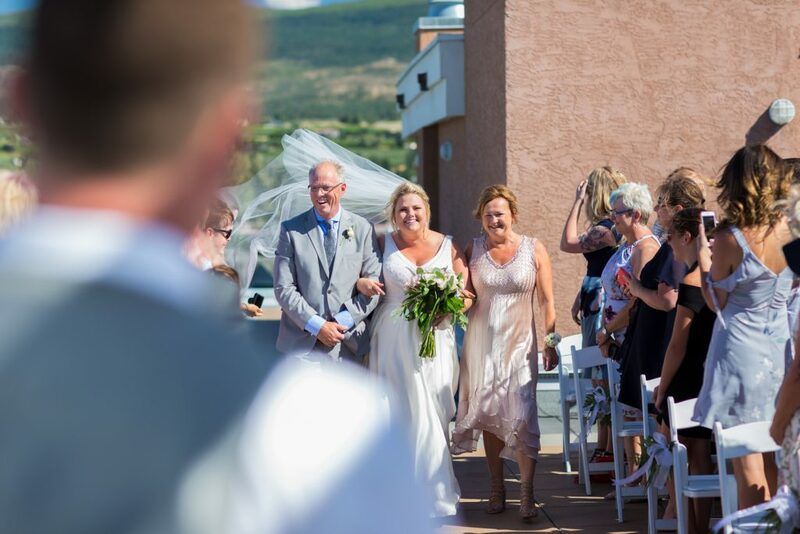 Alexis and Tyler invited their closest family and friends to join them in their favourite vacation location for their Kelowna wedding. 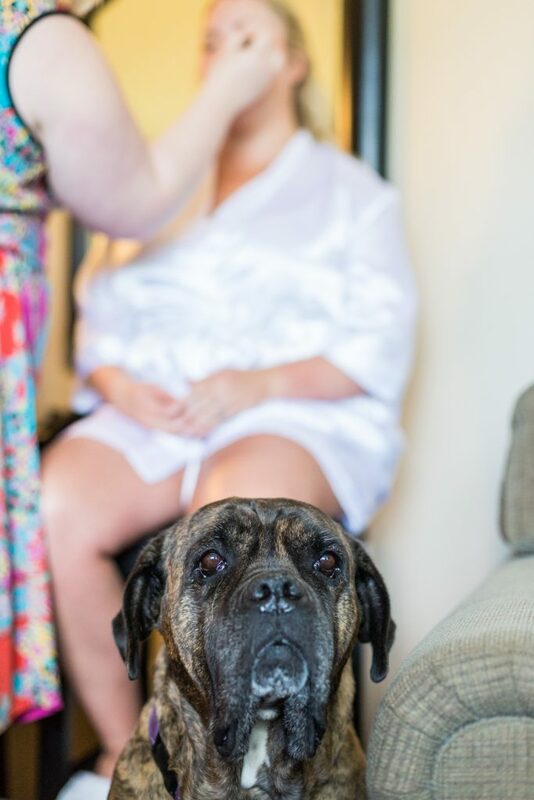 They even brought their sweet fur-baby Bella with them to share in the celebration. 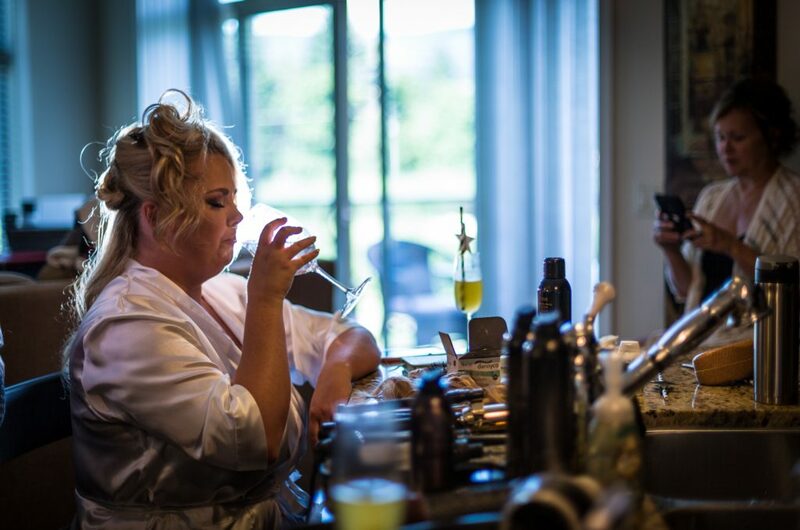 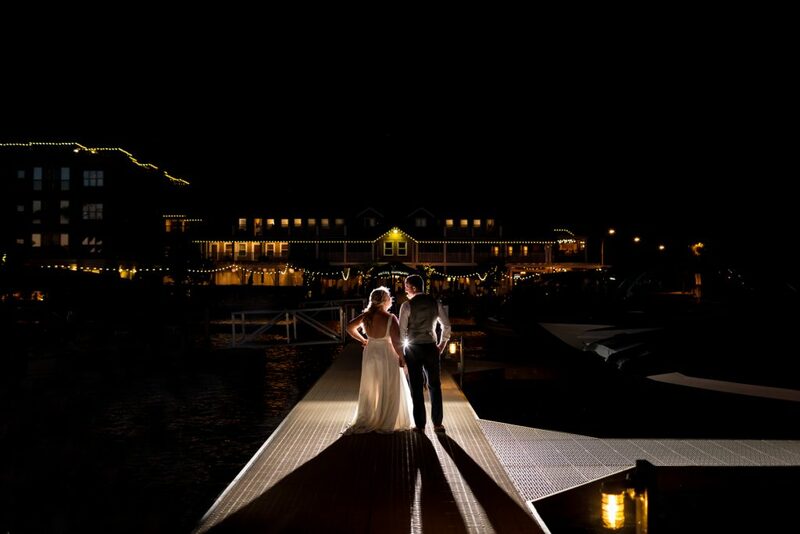 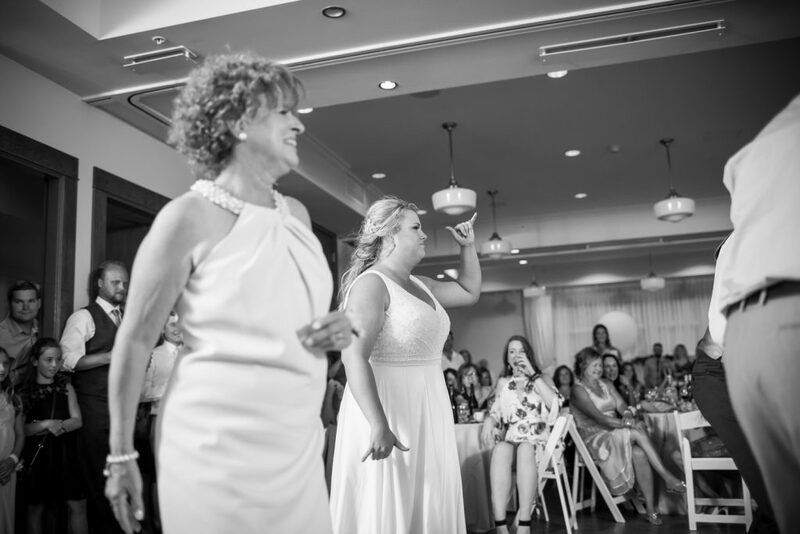 Alexis and Tyler wanted just three things for their wedding day, a view of the lake, some wine and a very big party. 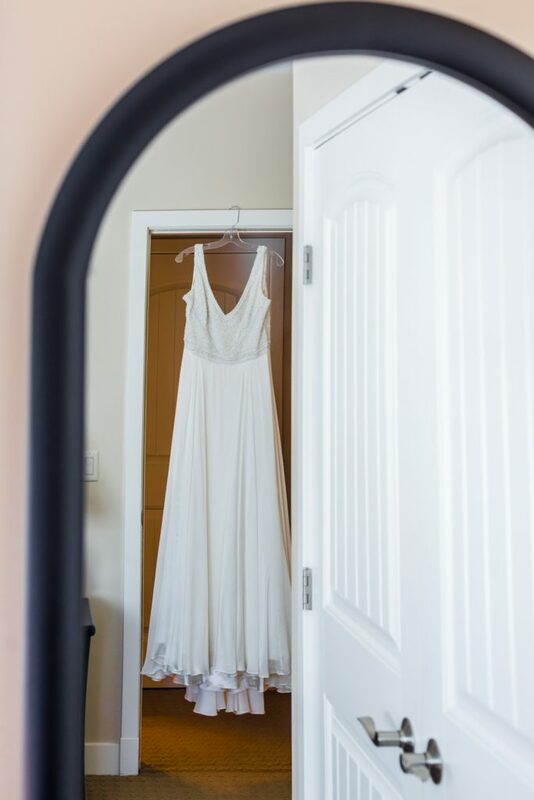 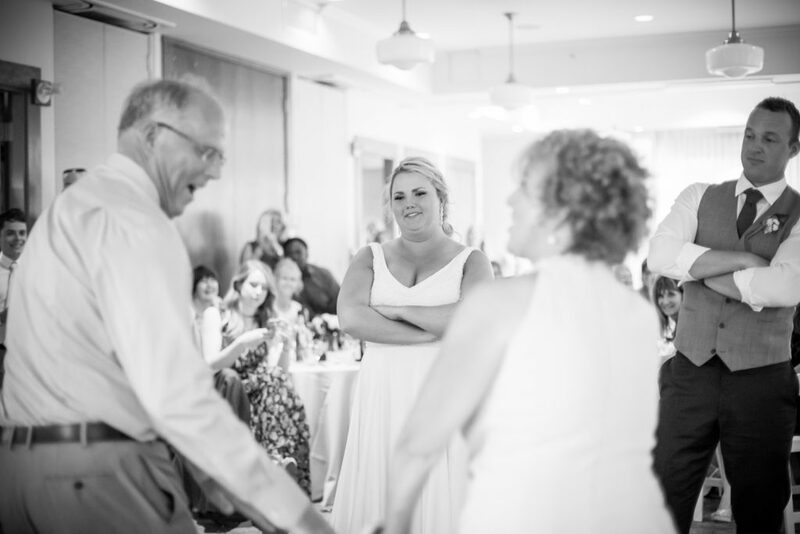 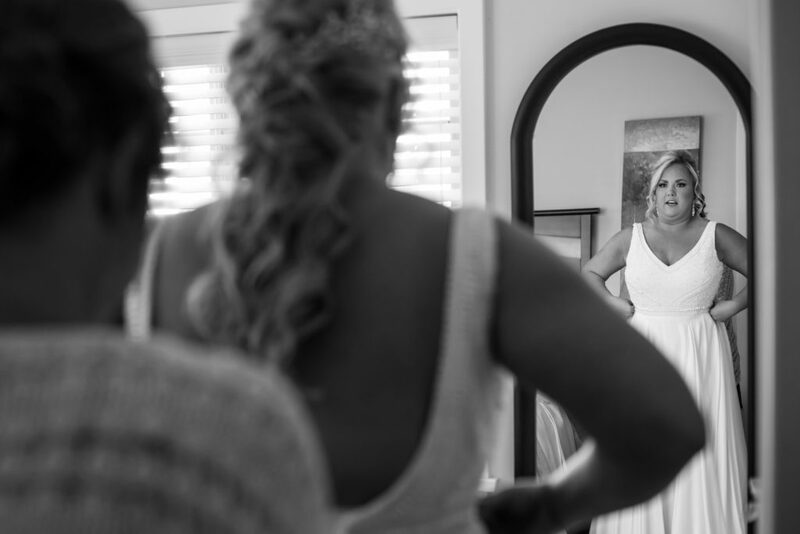 These two lovebirds wanted to do a first look before their ceremony. 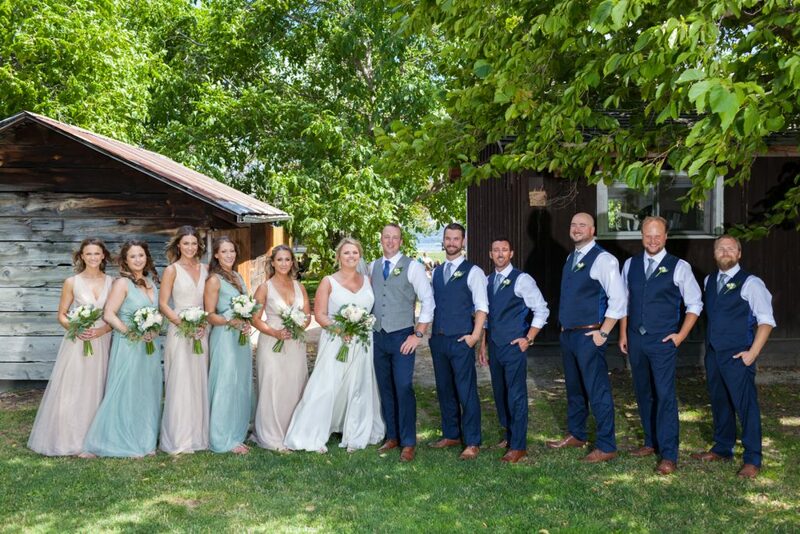 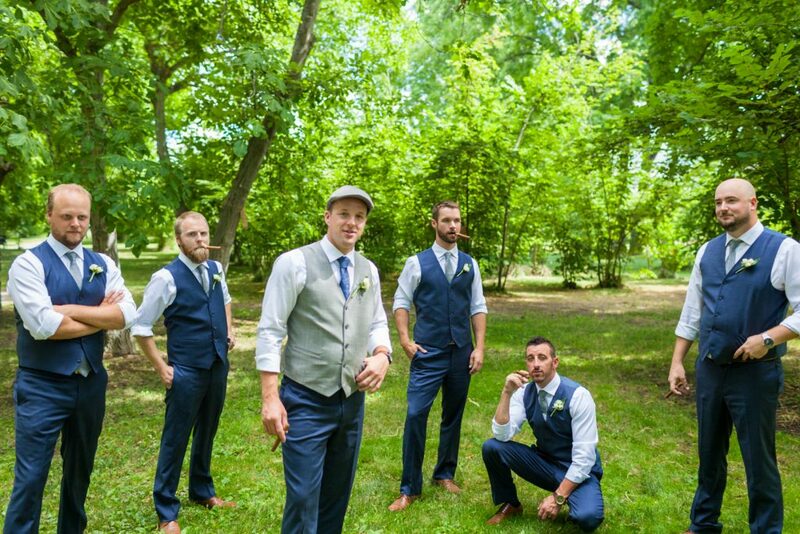 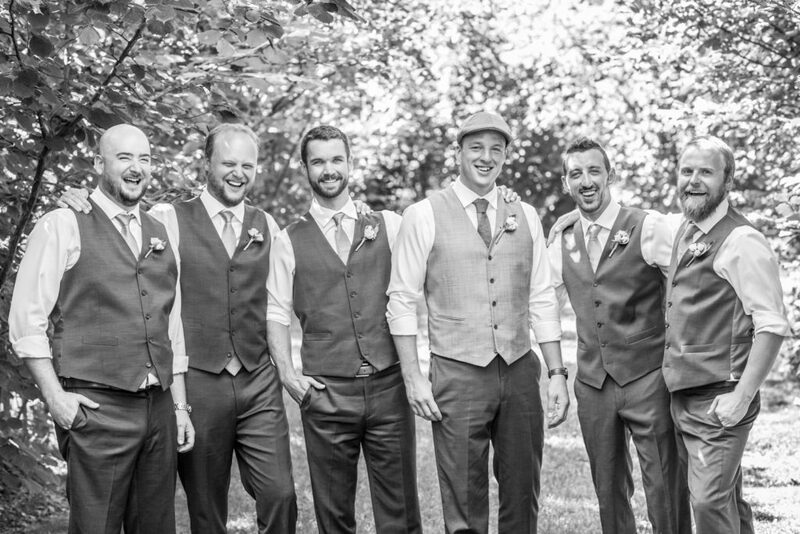 Having a first look meant that they could spend the afternoon together with their bridesmaids and groomsmen. 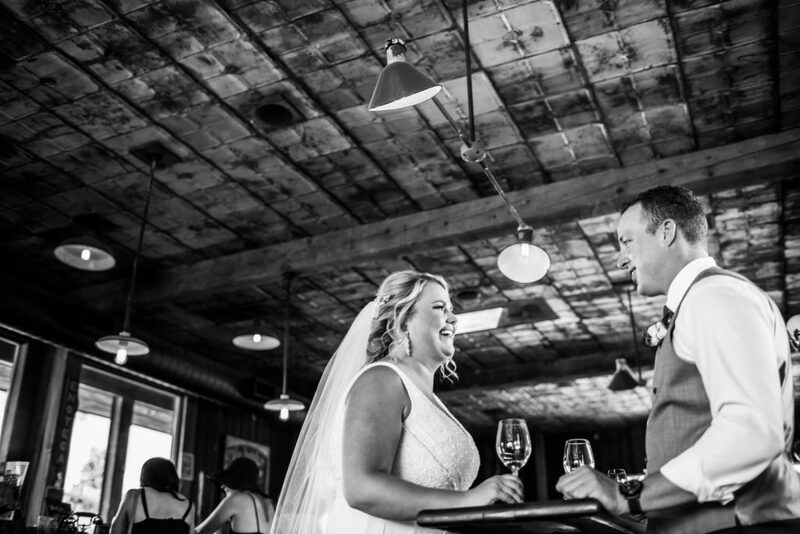 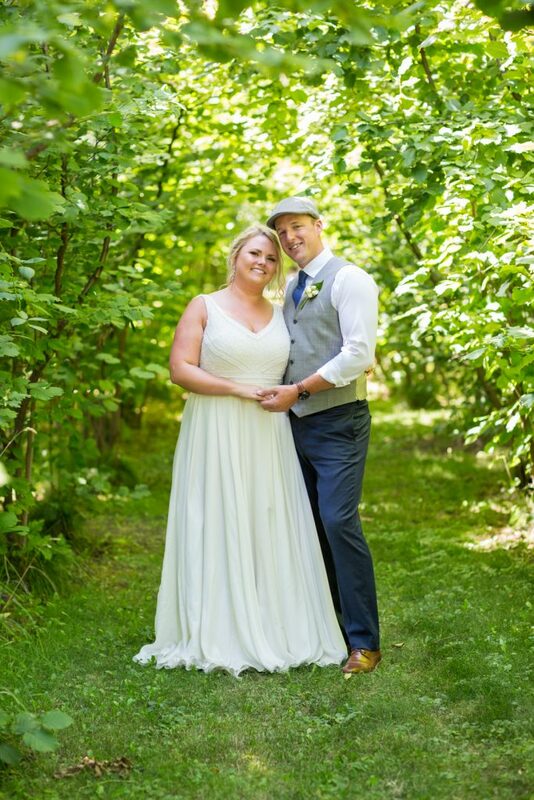 Bride and groom met at The Hatch Winery for their first look. 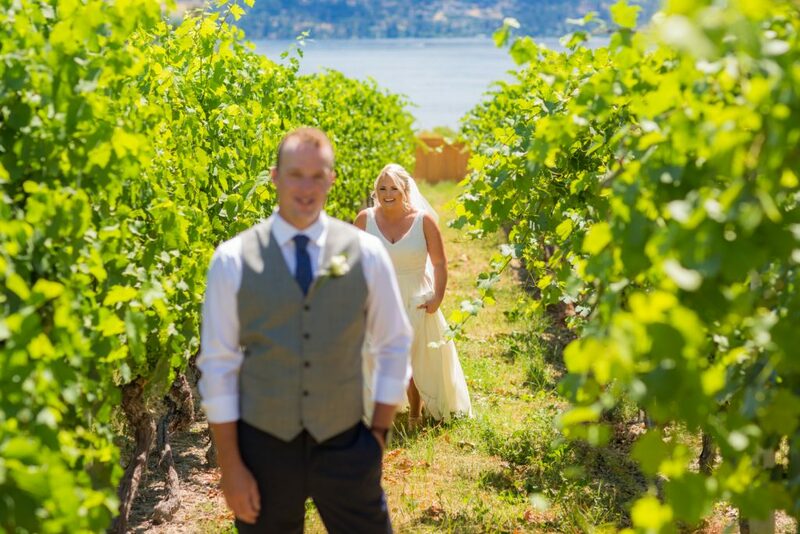 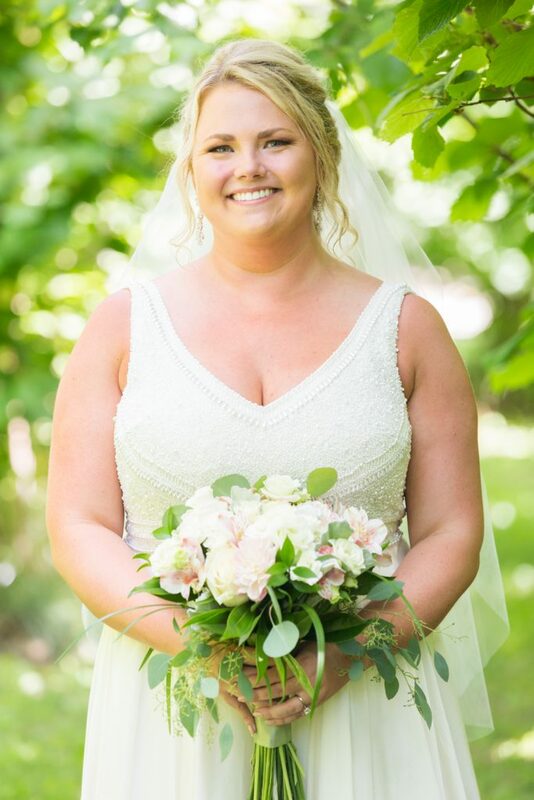 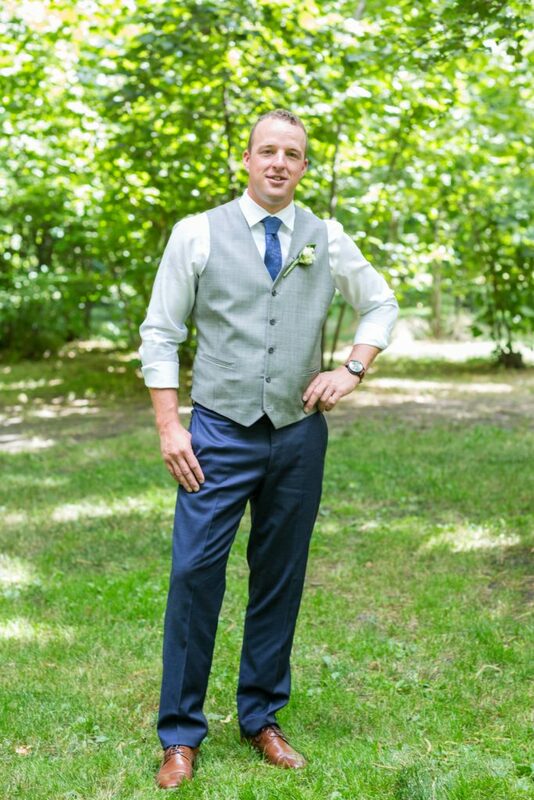 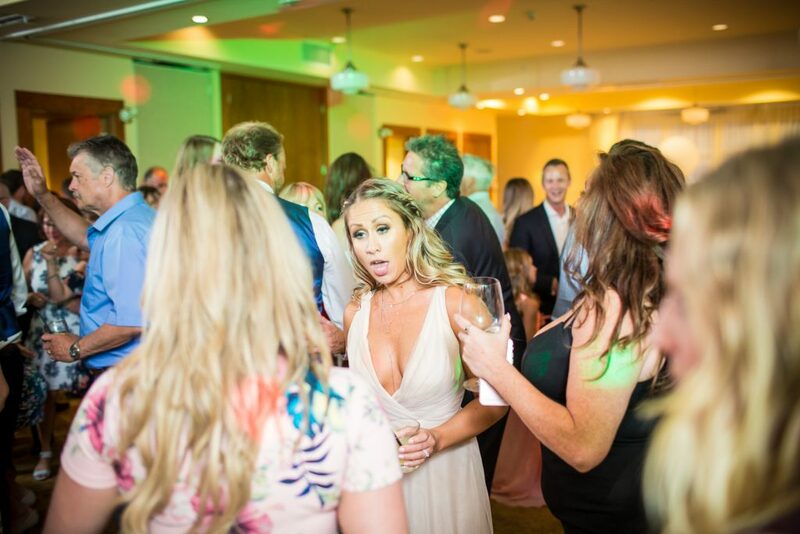 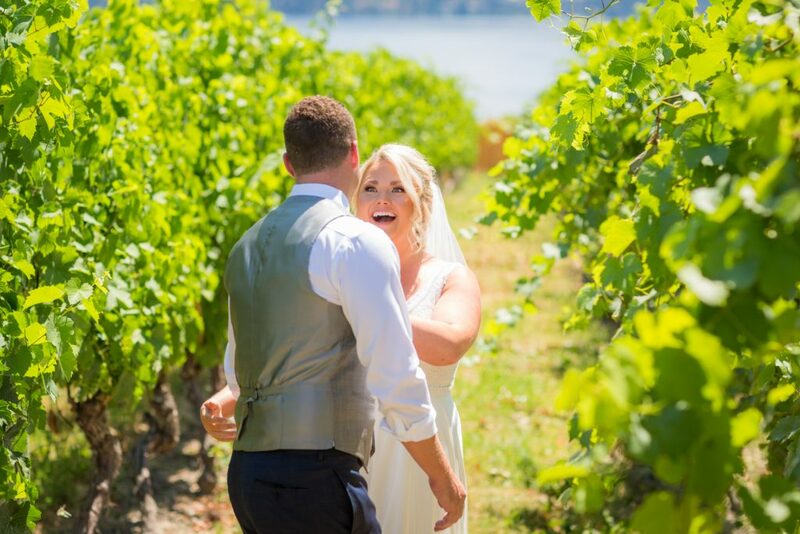 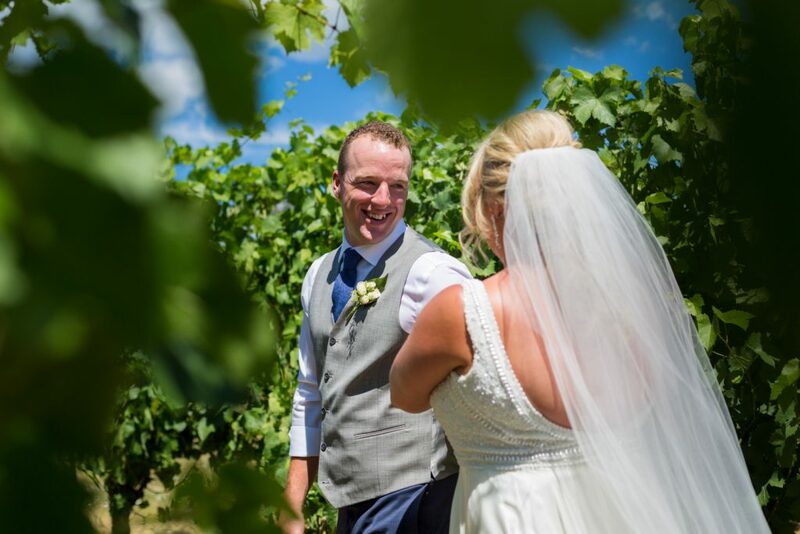 Amongst the lush greenery of the vineyard, Tyler got to see his beautiful bride for the first time. 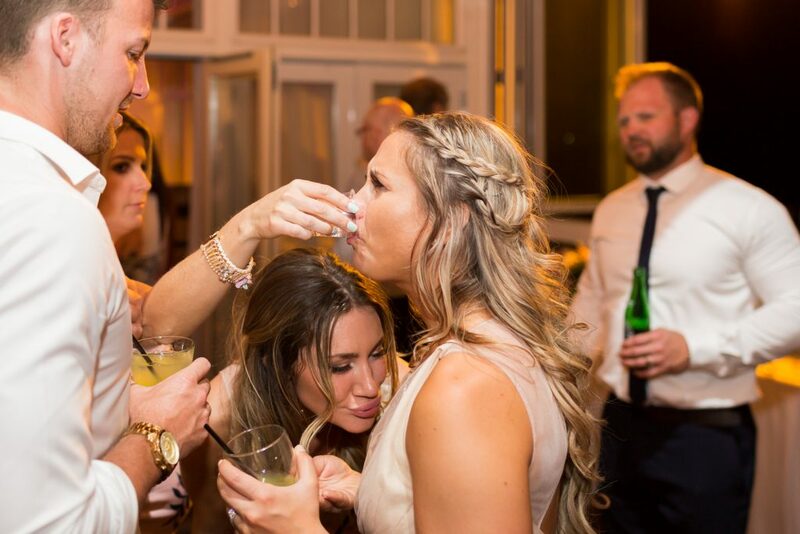 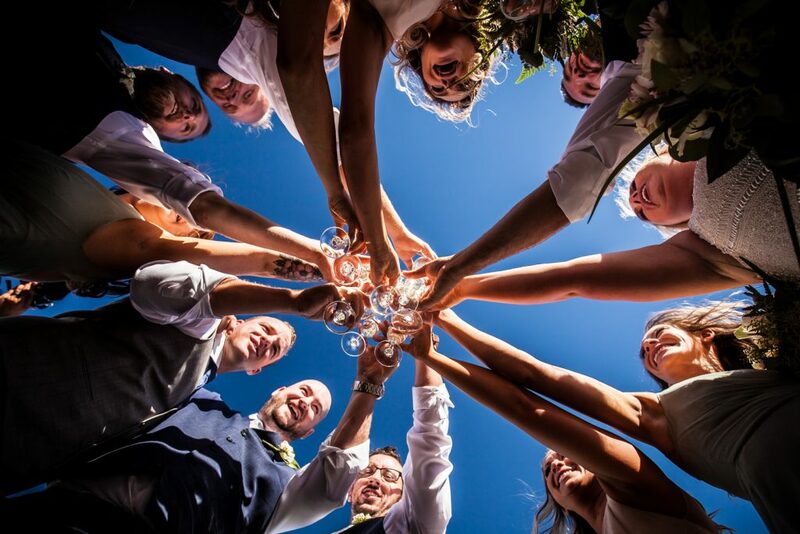 After a few tears, hugs and a glass of wine it was time to meet up with the wedding party. 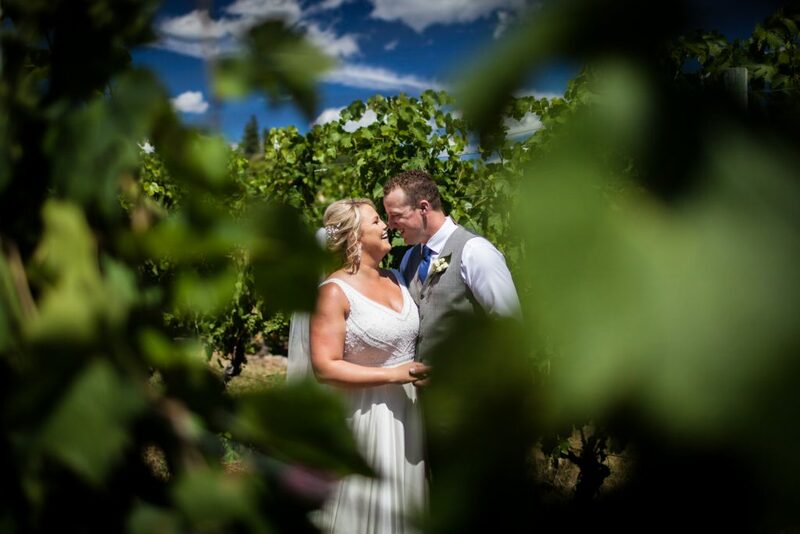 We found some much needed shade under the leafy canopy of the Gellatly Nut Farm. 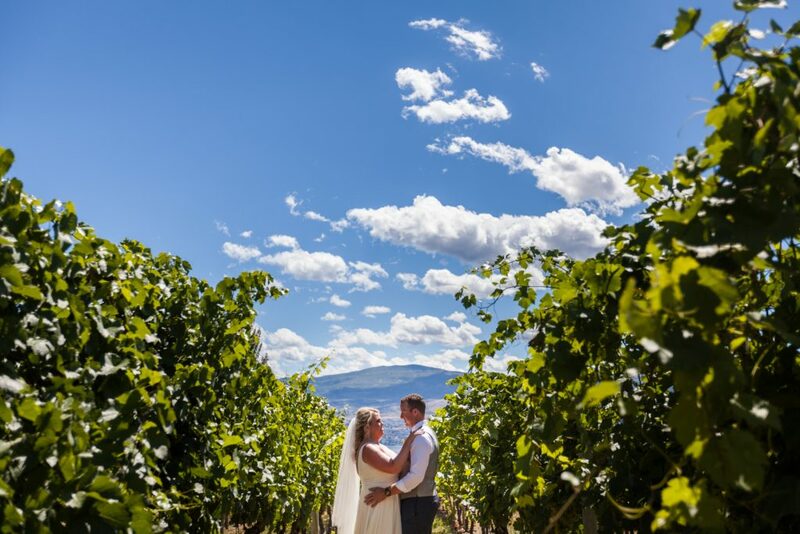 This hidden gem is located in West Kelowna along a quiet stretch of farm land. 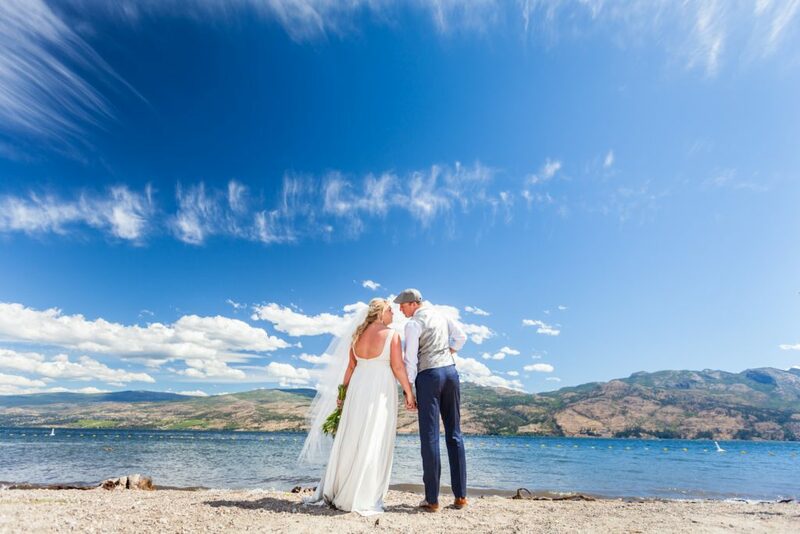 The adjacent beach was unusually empty for a Sunday afternoon and perfect for a quiet moment for this bride and groom. 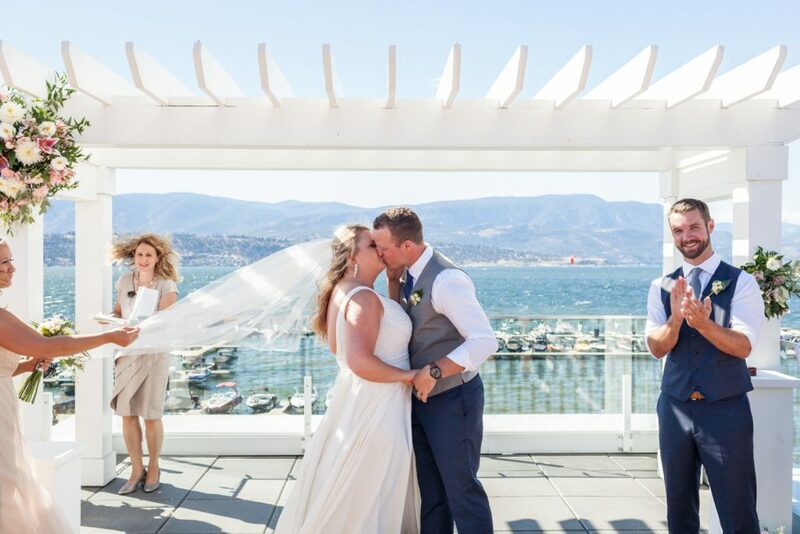 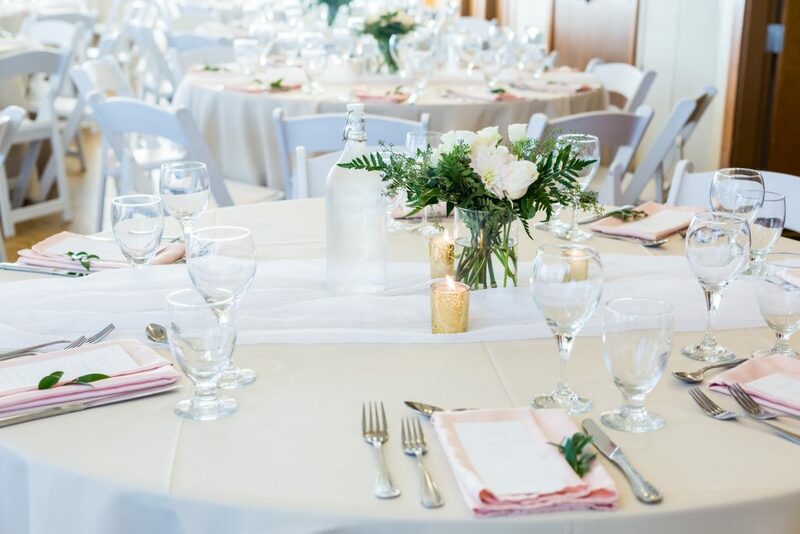 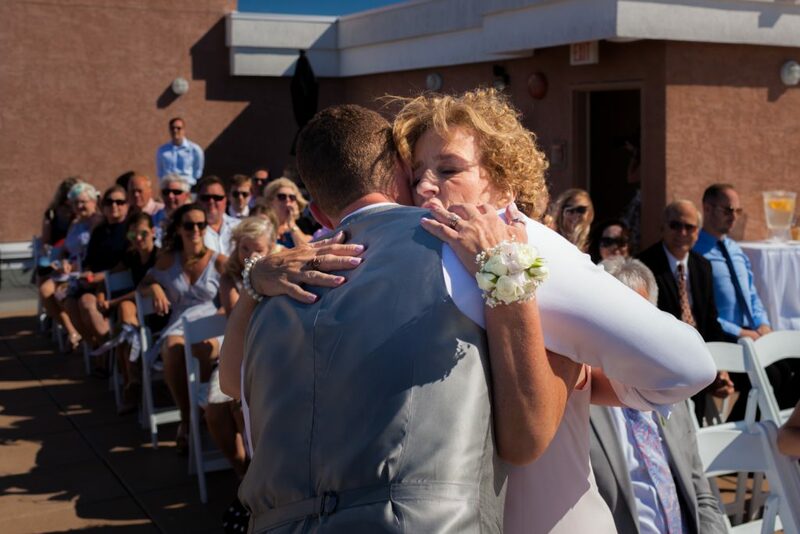 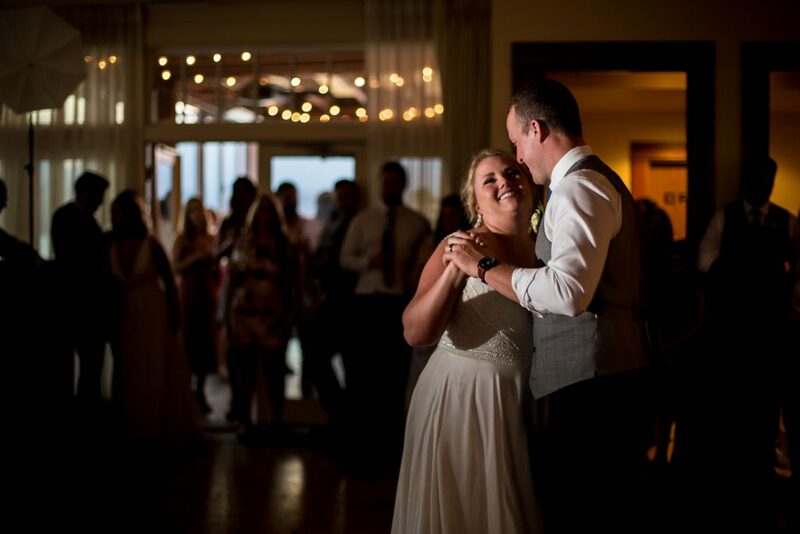 Alexis and Tyler’s wedding ceremony was held at the Hotel Eldorado on the rooftop patio over looking the lake. 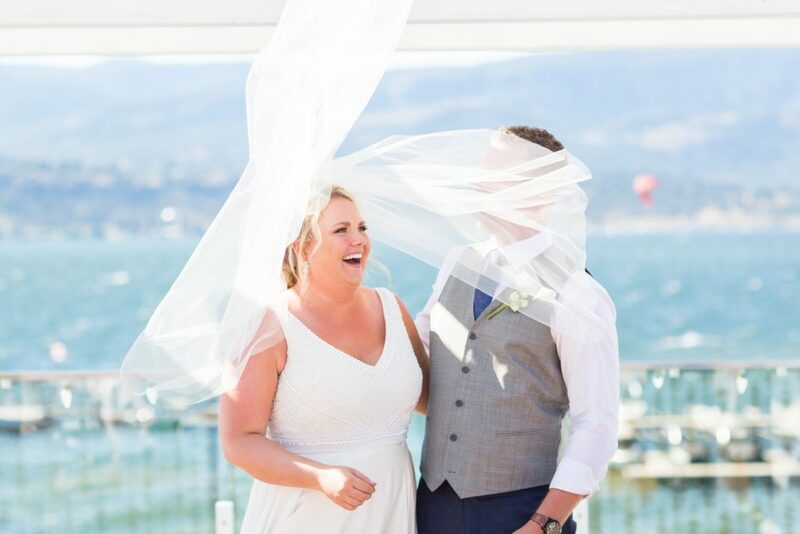 Not even the wind could distract from the sweet ceremony and breathtaking view of the lake. 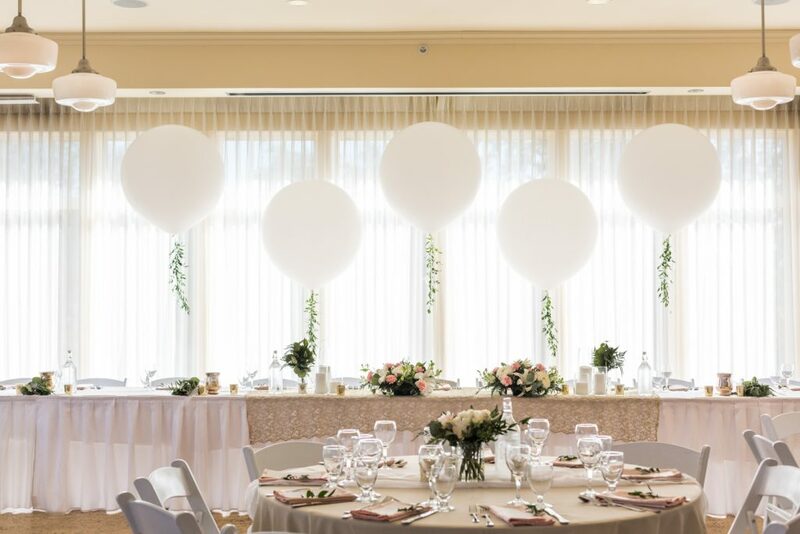 Guests retired to the Hotel Eldorado’s Great Room for the evening reception. 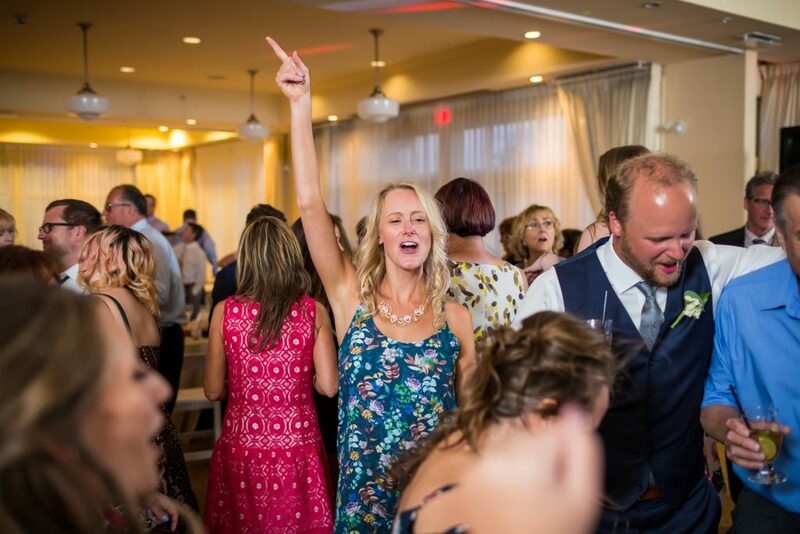 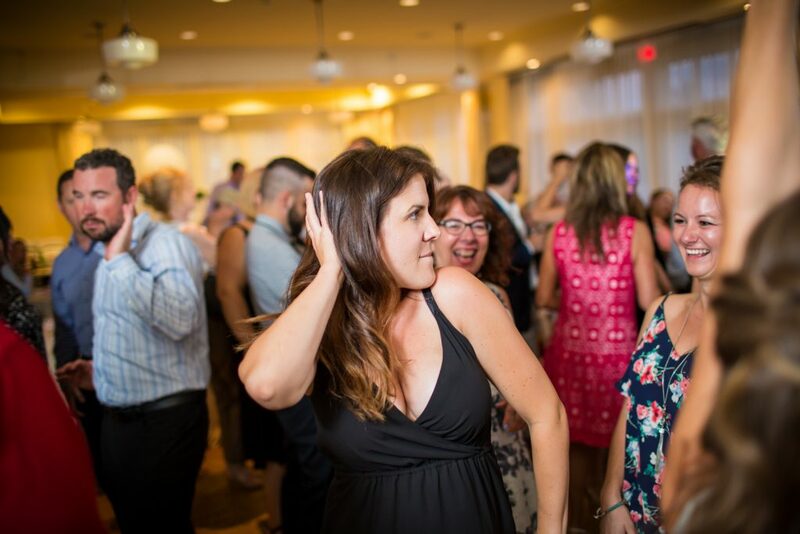 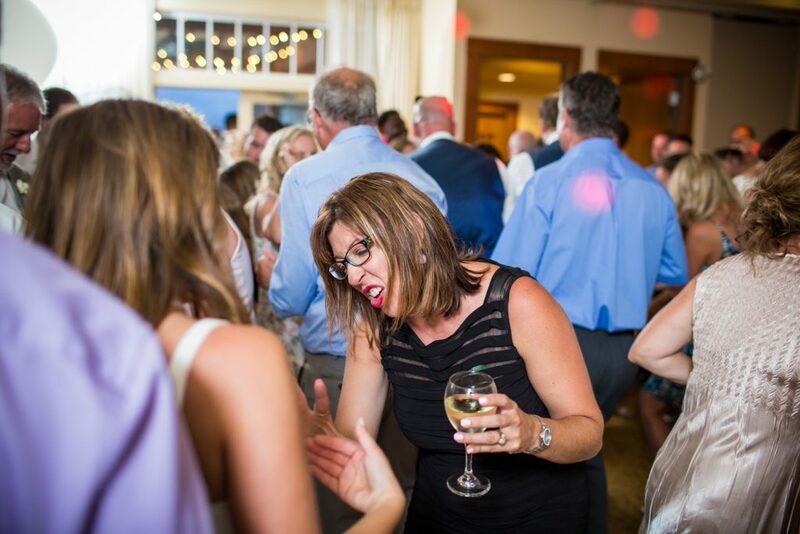 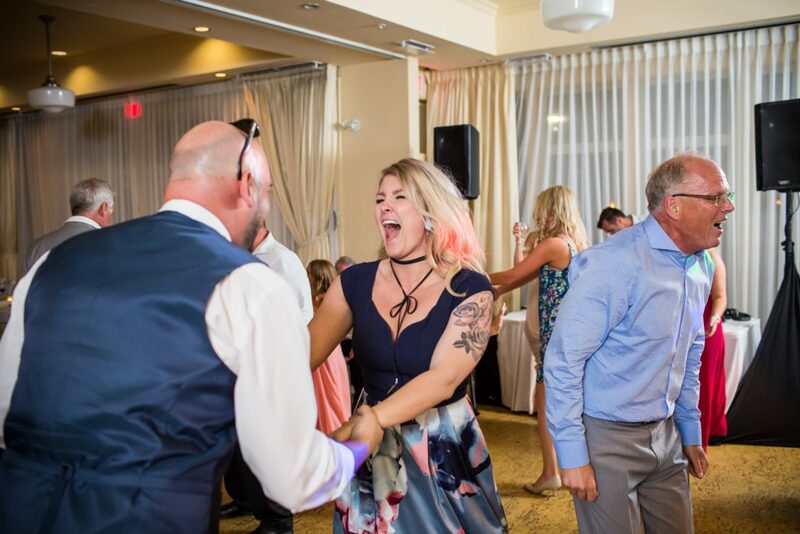 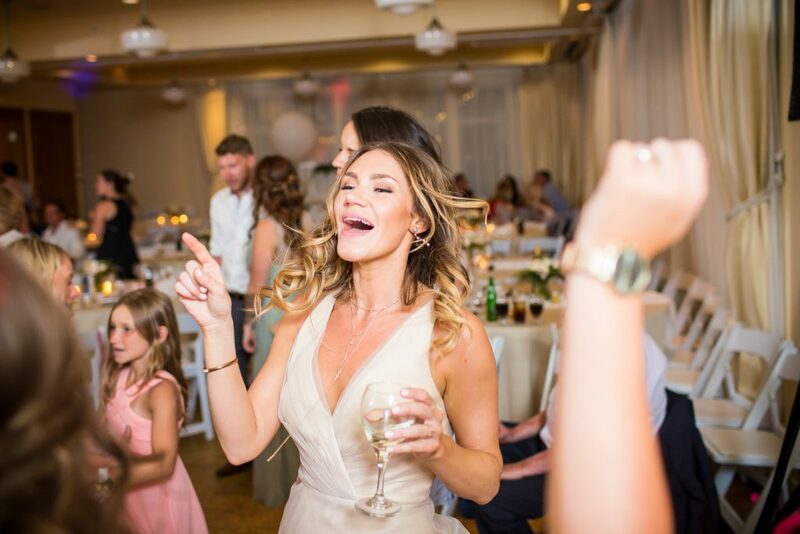 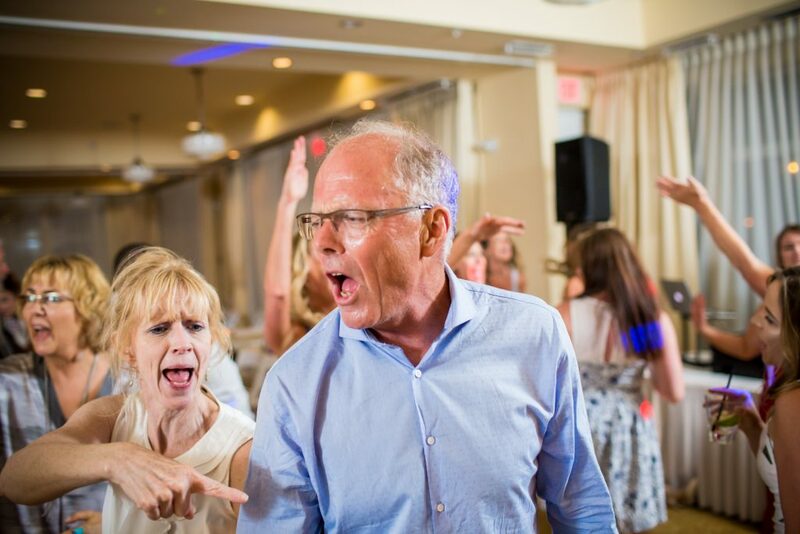 The evening program included beautiful toasts, inappropriate stories and an epic dance party. 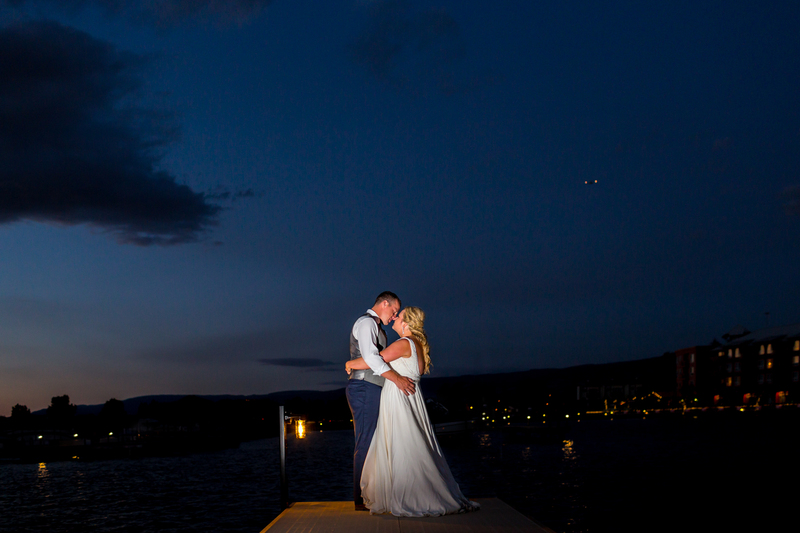 As the sun dipped below the hills, Alexis and Tyler took a walk down the marina pier for a quiet moment together as husband and wife. 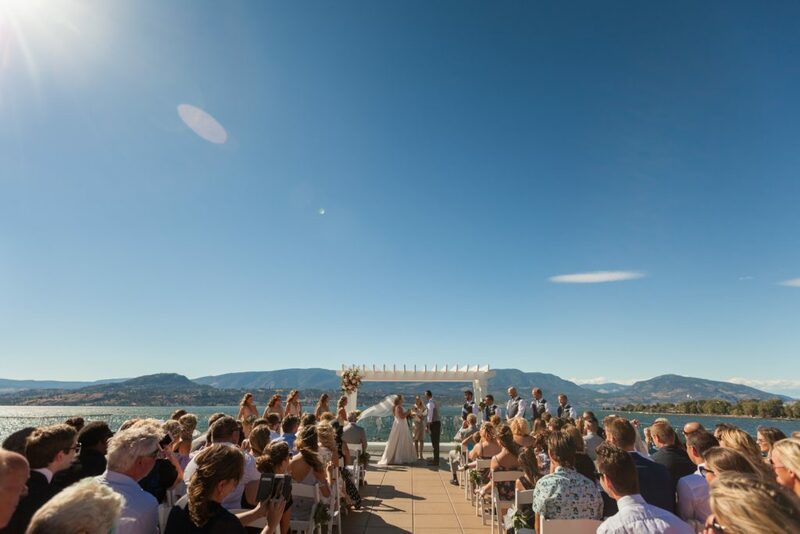 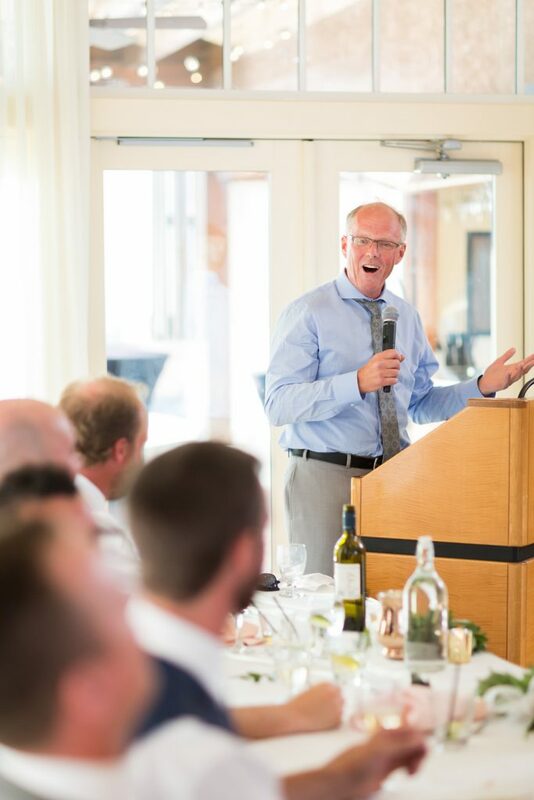 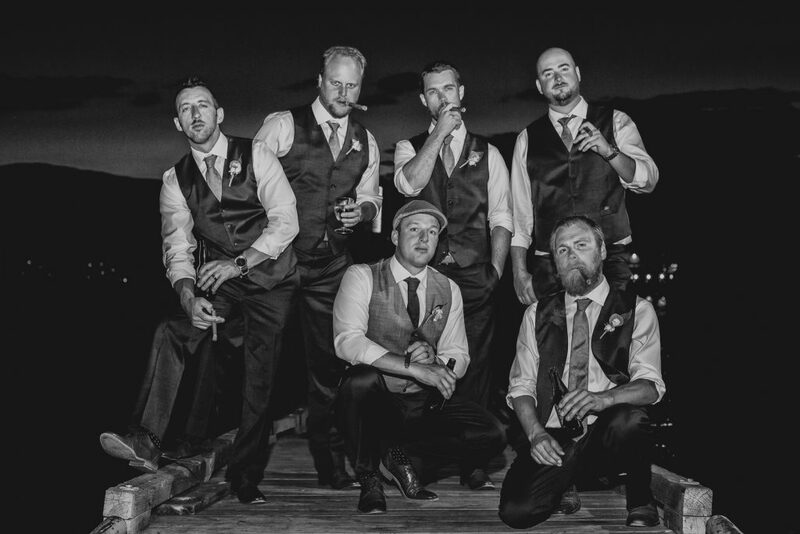 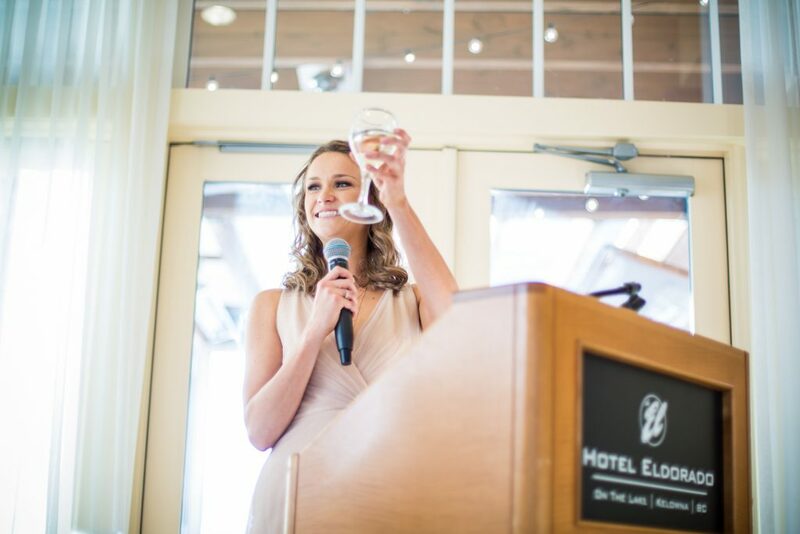 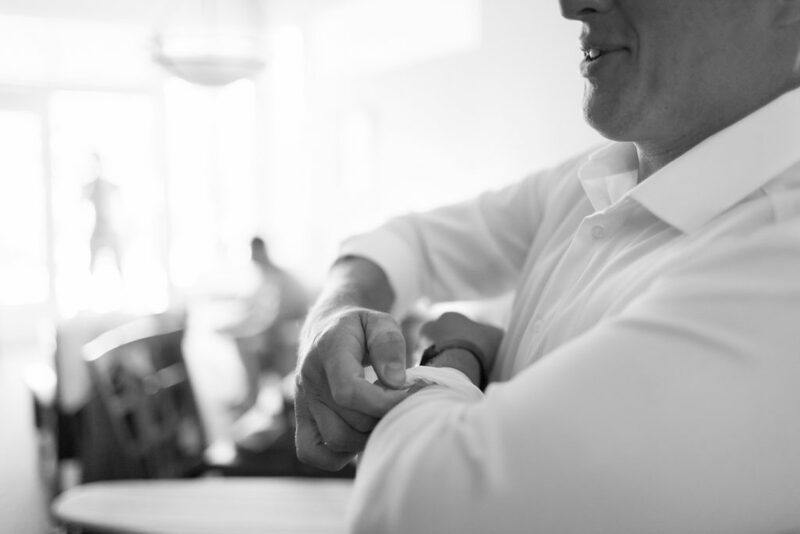 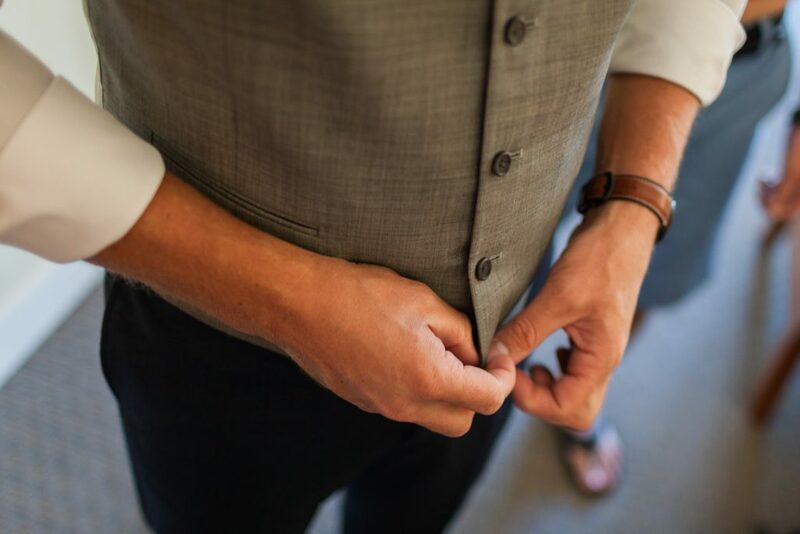 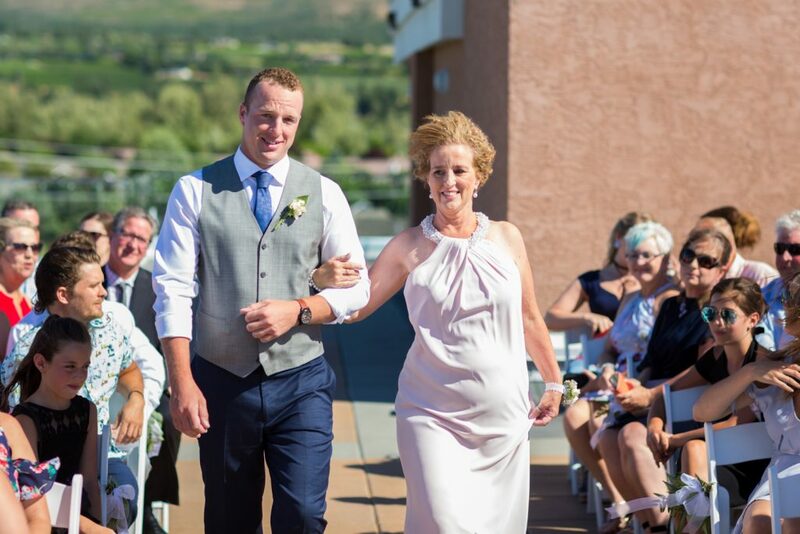 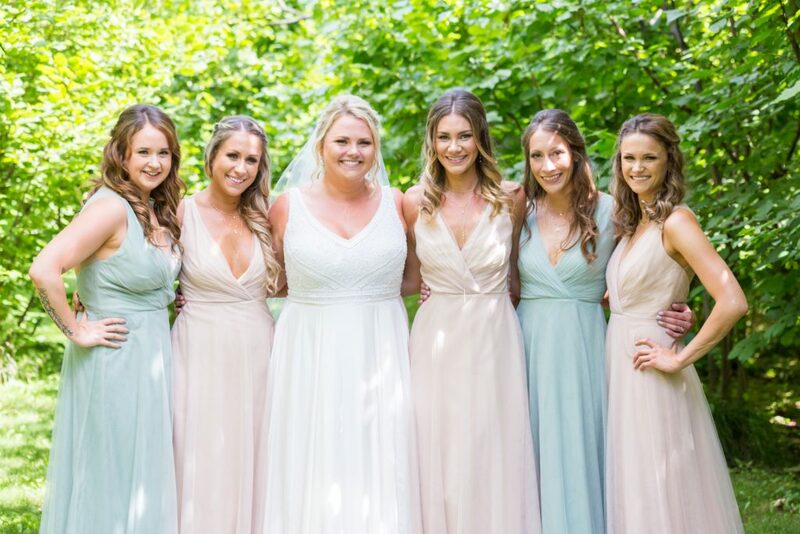 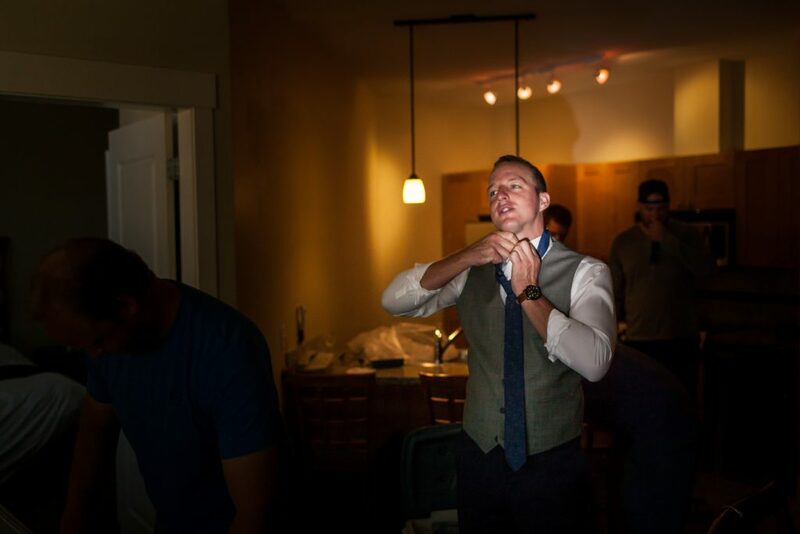 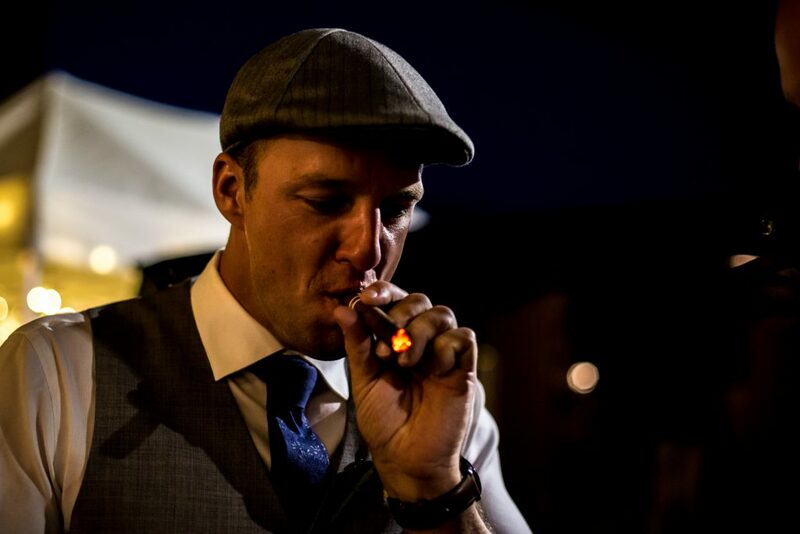 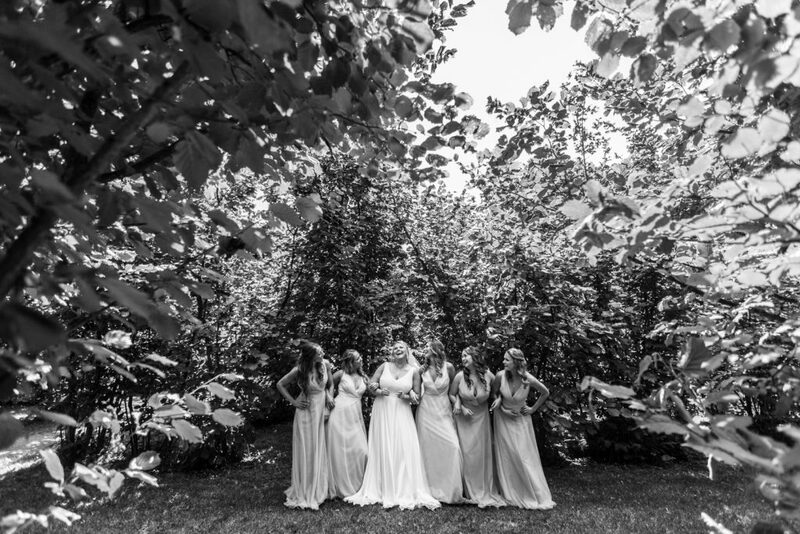 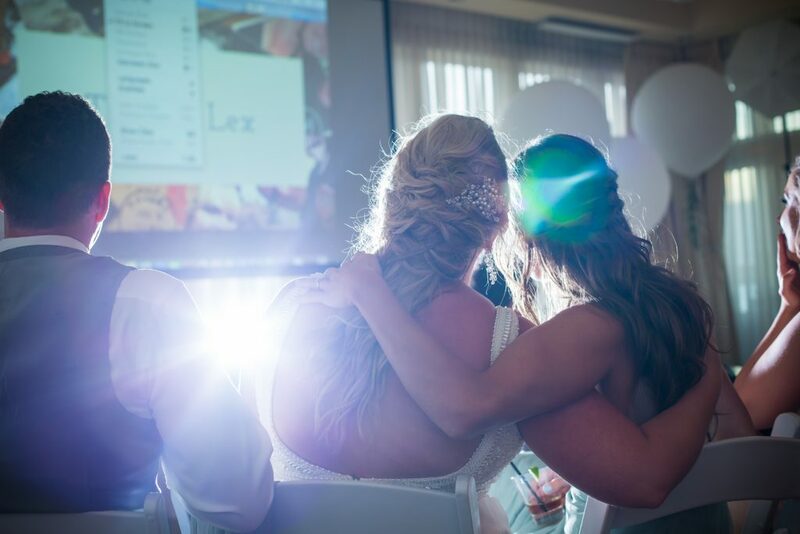 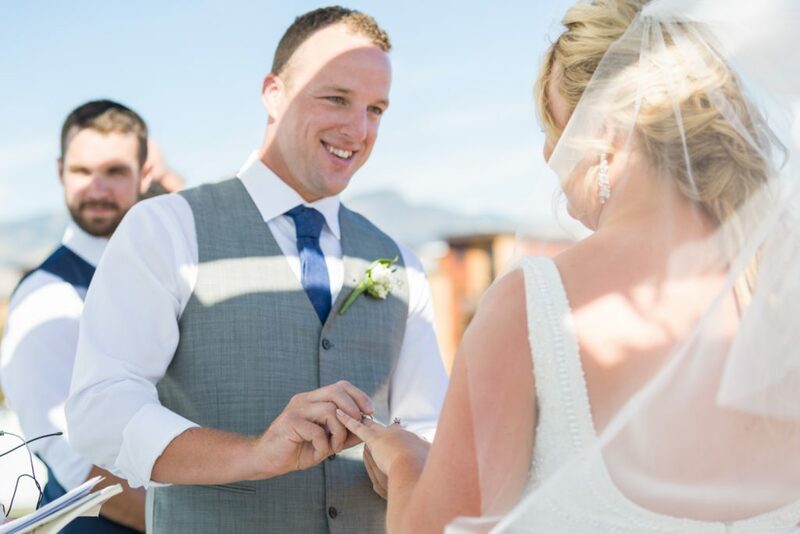 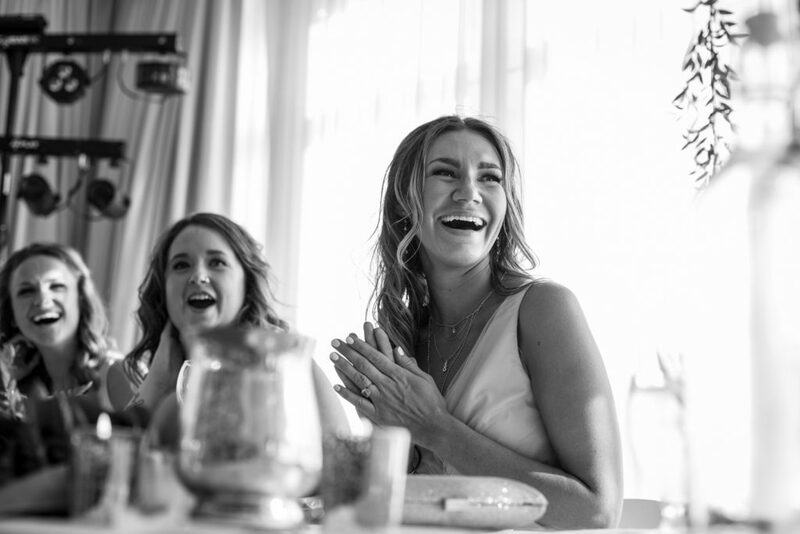 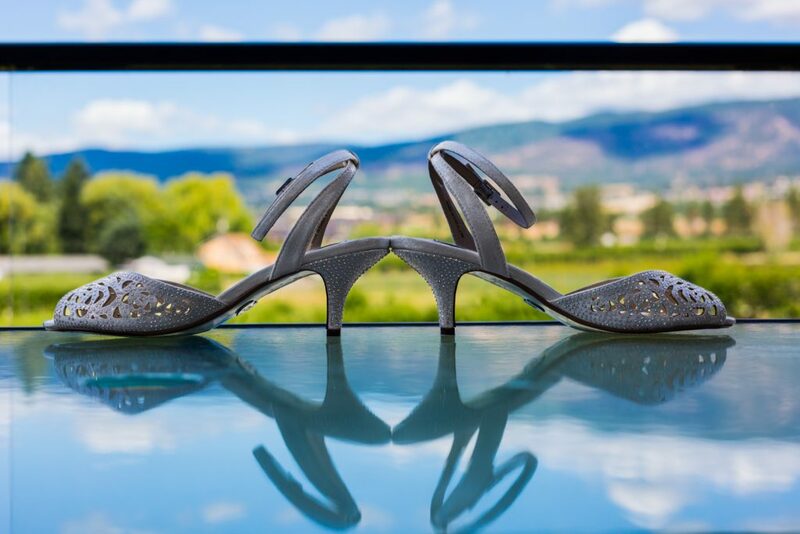 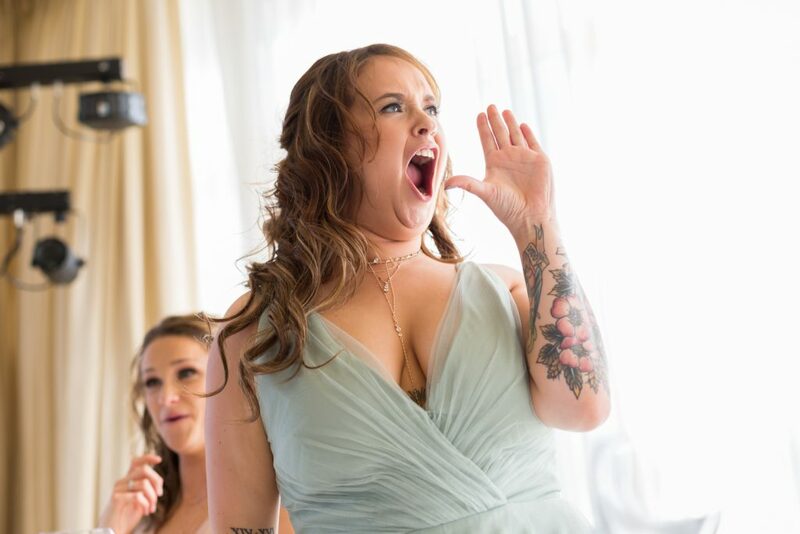 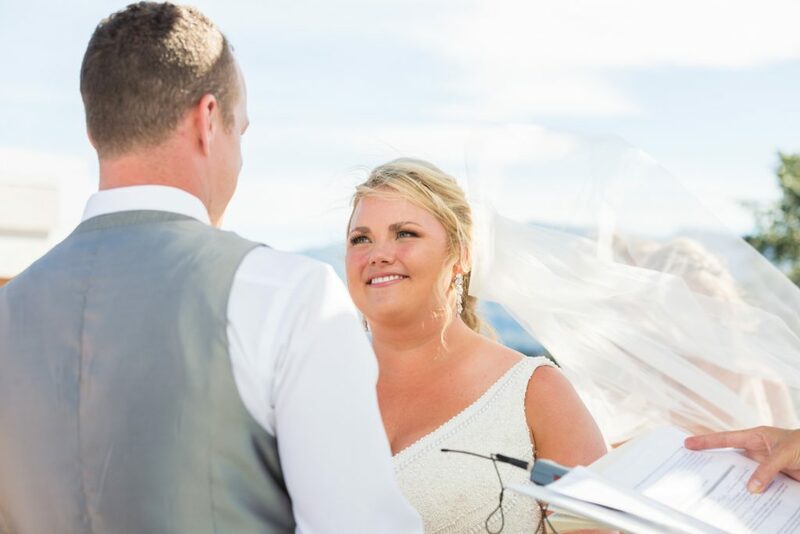 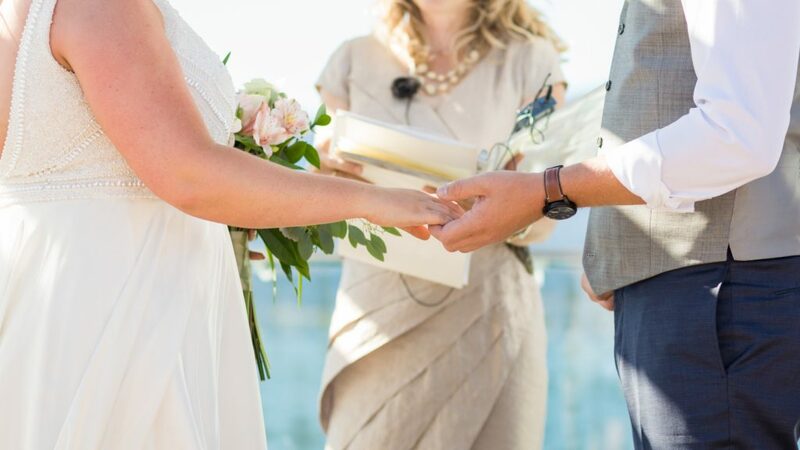 Thank you for inviting Deep Blue Photography to capture your gorgeous Kelowna wedding. 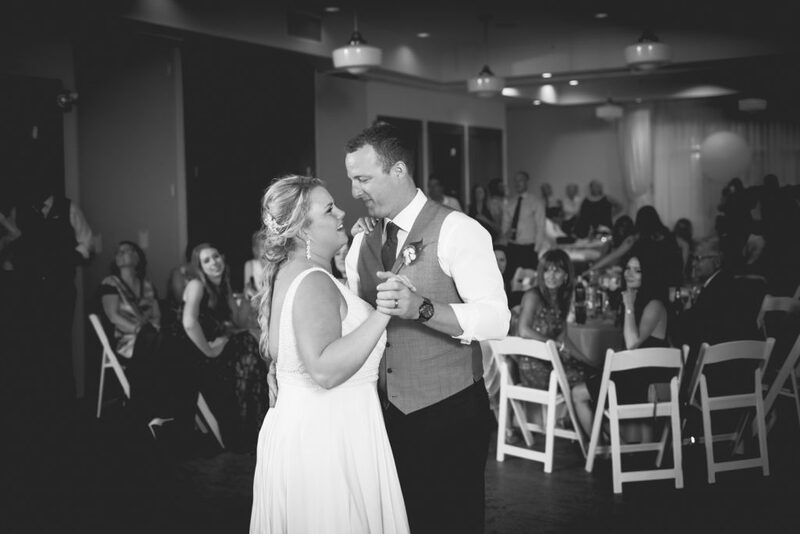 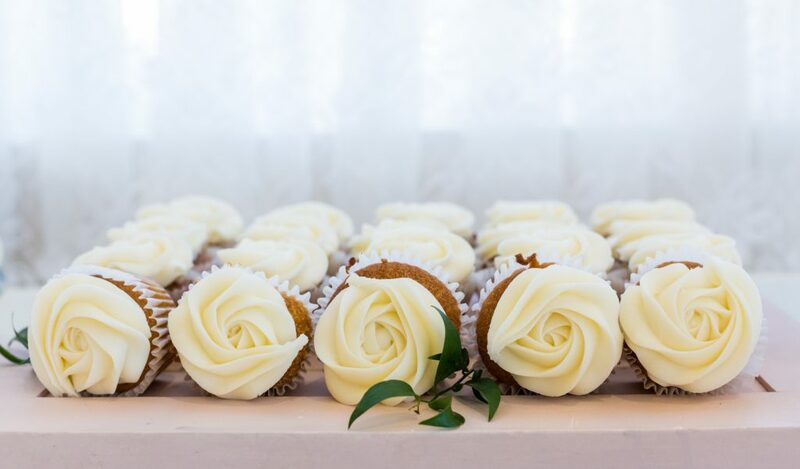 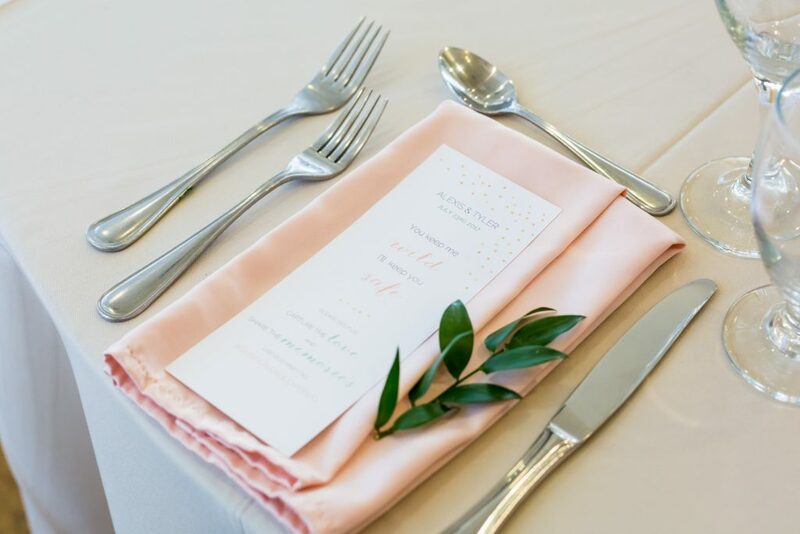 To view more gorgeous weddings, check out our portfolio!